GOT MONK? is a truly unique duo that captures the imaginations of both music aficionados and professionals. 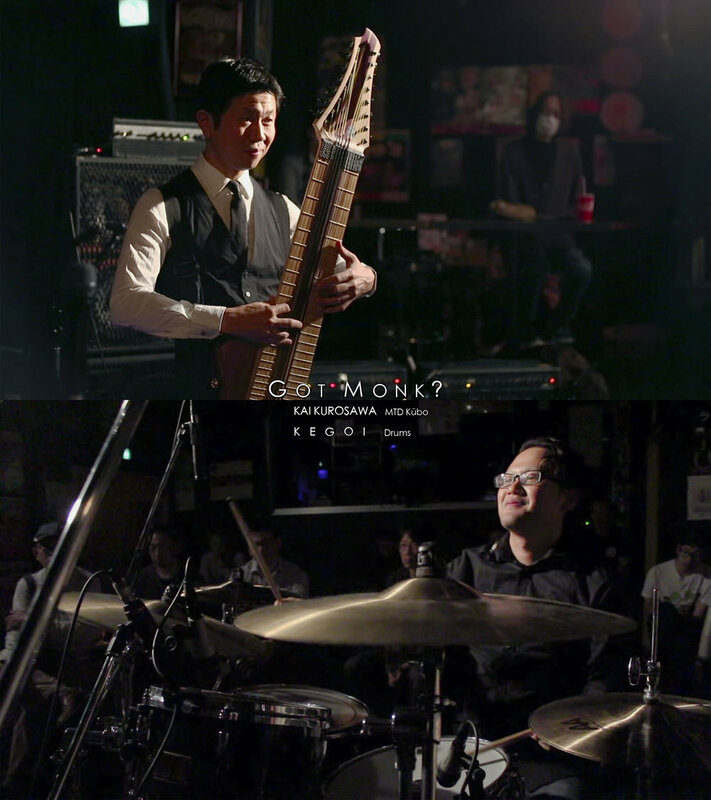 Kai Kurosawa (15 string bass) & Kegoi (drum set) blend their jazz and metal backgrounds to create daring and original compositions that highlight their virtuosity, while maintaining the joy and fun of performing music in front of an audience. The name GOT MONK? is a play on words between English and Japanese that challenges the musicians and their listeners to open up their minds and ears to enjoy music at its purest and to dare to be original. Kai Kurosawa picked up the electric bass at the age of fifteen. Today his primary axe is Kūbo (aka the Aircraft Carrier); a custom 15-string instrument which he co-developed with renowned luthiers Michael & Daniel Tobias (MTD). Kai is self-taught and also self-created fresh new cutting edge musical techniques for this unique instrument. Widely considered as truly one of a kind player, he is frequently invited to teach seminars and clinics in the United States, Europe, and Asia. He is consistently busy working with various bands and creative projects; genres include jazz, progressive metal, rock, pop, and electronic music. To name a few collaborators, he has worked with musical masters such as Hiromi, Thomas Lang, Gary Novak, Vinny Golia, ISAO, Shane Gibson(korn), Charmaine Clamore, Kiyomi Otaka, Ponta Shuichi, and Andrea Centazzo. When not on tour, he works as a producer/programmer and gives online lessons. Kai currently resides in Los Angeles. 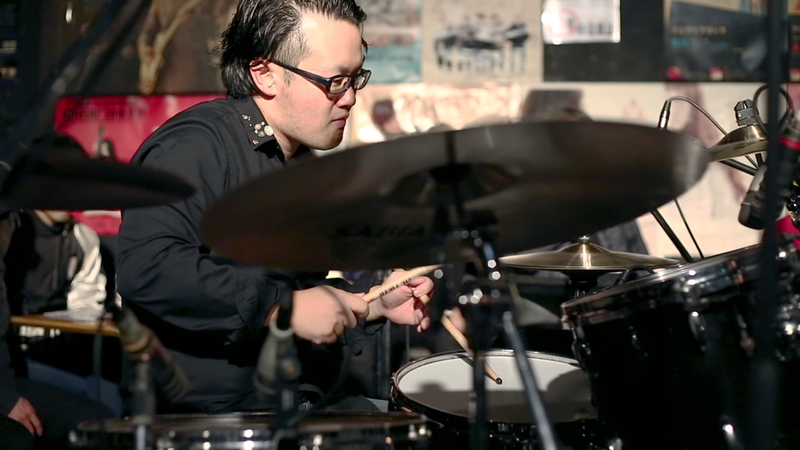 Keigo Takada, a.k.a KEGOI is a multi-instrumentalist, master drummer, composer, and published author. He started his career as a rock-ribbed metal drummer and later on expanded his musical vocabulary to interact and improvise. Kegoi developed versatility through working with many musical masters, such as Kai Kurosawa, ISAO, Kiyomi Otaka, Thomas Lang, Daniel Rosenboom to name a few. He has released solo CDs, an instructional book and 2 instructional DVDs that are best sellers in West Japan. Clinics and workshops as well as session work keeps him busy throughout the calendar year. His memorable personality and sharp drumming is an audience favorite and is often refereed to as "the Flash". A Common Window by GOT MONK? 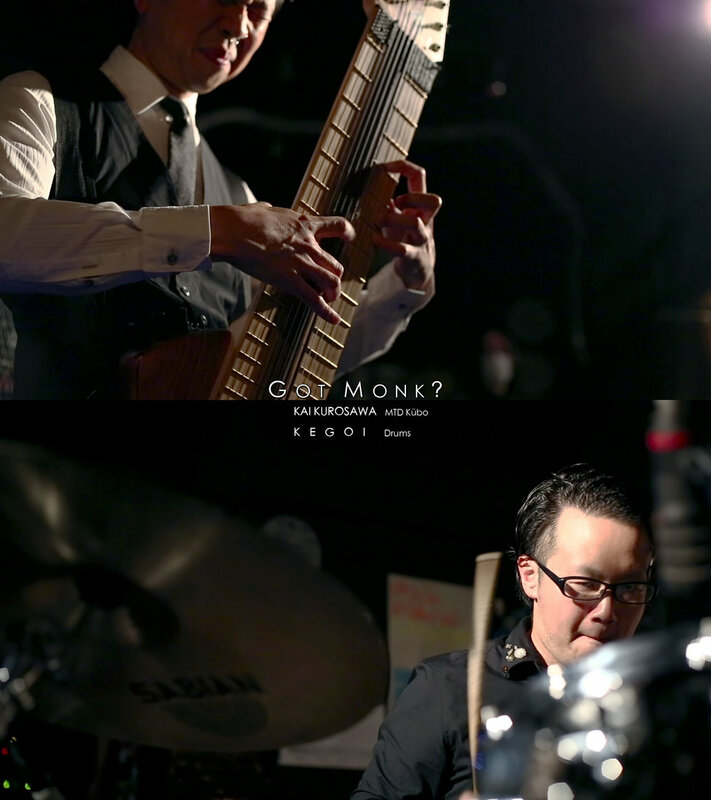 live at Curve Line Space by GOT MONK?